For the sake of being completely honest with you, my Kryptonite is salt. Don’t get me wrong, I am a huge fan of chocolate but I will certainly take a bag of potato chips over cookies 9 times out of 10. On the other hand, Anthony is the one with the sweet tooth out of the two of us. Case in point, this past Halloween we had a big bowl of candy and sadly had no trick-or-treater’s. Yet all of our candy has magically disappeared. He did have a little bit of help, but once the Kit-Kat’s were gone I started losing interest in the bowl. This past Saturday, Anthony and I didn’t have a lot of plans for the day except for some good ole’ fashion apartment clean-up (#adulting?). So when we found out there was a chocolate festival going on, we quickly got ready and headed out the door. 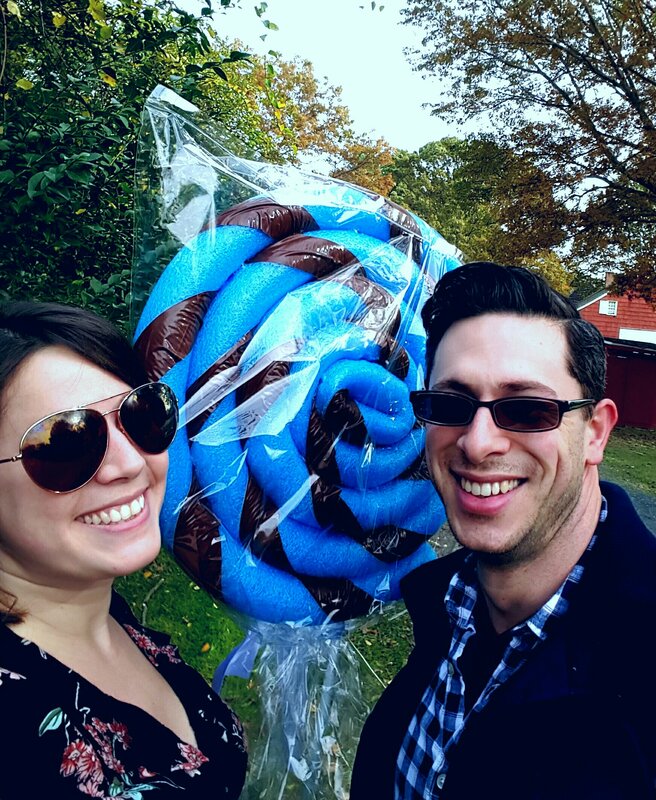 It was held at the Old Bethpage Restoration Village and Anthony was extremely excited to have a reason to take me there. I have never personally visited it, but he’s been going there for years with his family to attend the candle light walk around Christmas time. 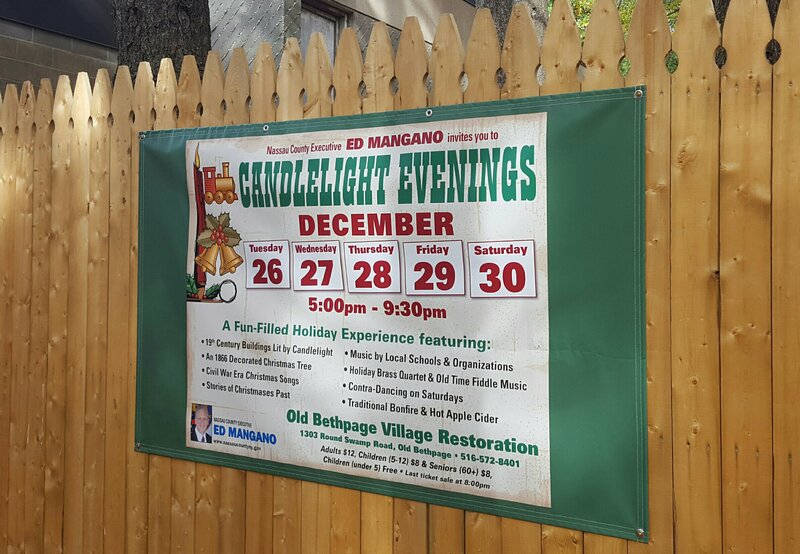 He’s raved about this event and the Old Bethpage Village for as long as I have known him and it was nice to be able to walk around during the day and see it in a different light (pun intended). The Parking: As we got closer to the festival and were about to turn onto the road to the village, there were cops blocking it off forcing drivers to park elsewhere. There were no signs or directions for where to park so we ended up in the Shop Rite parking lot and walked a mile up hill to get to the festival. While it was great to get our steps in for the day, and possibly justifiable with the amount of chocolate we thought we were going to consume, it seemed to be set up poorly for the volume of traffic that arrived. There were also no signs indicating there was a shuttle running from the hotel near where we parked. The Layout: The way the vendors were set up was not conducive for a festival by any means, especially for one as heavily attended as this. There wasn’t enough room for people to wait in line due to narrow walk ways where each vendor was selling their items. Lines wound up forming in front of other vendors so you could easily miss a lot if you didn’t feel like wedging yourself between people to see what was going on behind them. Some of the vendors only took cash and ironically one of the vendors that only took cash was one of the few chocolate vendors we came across. Most of the chocolate vendors were kept in secrecy in the big yellow barn where a massive line formed all the way around it for people to get in. Unfortunately, we had time constraints so we were unable to wait the 30+ minutes to get in to see the chocolate at the chocolate festival. Most of the vendors located outside the barn were not chocolate vendors. The Attendance: Although this is an outside village with plenty of open space, the amount of patrons at this festival made it almost unbearable to walk it. It seemed like they should have had a set number of tickets, but a simple change in the festival layout would have been better. There were plenty of open fields and space where they could have had the vendors in a big circle with plenty of room for lines to form and for traffic to be free flowing. We felt bad for people there with kids and/or strollers because it was hard for the two of us to walk around let alone someone with a stroller or an energetic toddler. With all that being said, the festival did not deter me from wanting to go back to the village for future events. I am very much looking forward to the candle light walk in December. Here are the dates in case this is of interest to you! 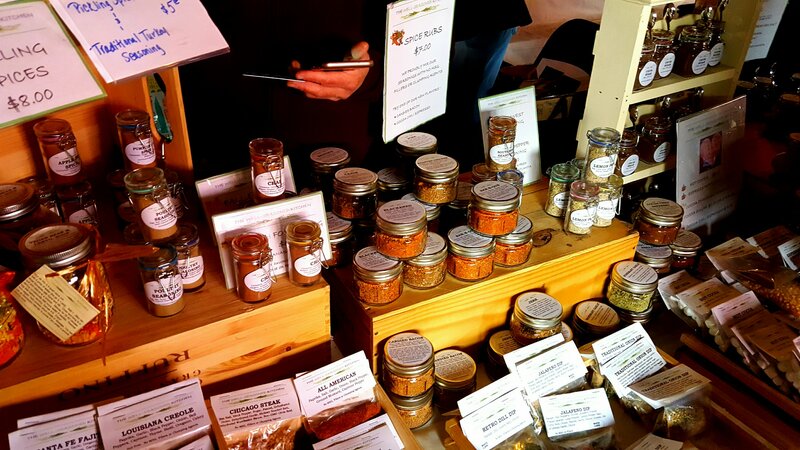 And, of course, there were some awesome vendors we had the opportunity to meet and we feel are worth mentioning. Why? Because they offered high quality items that were different than what was out there. Also, the owners of these tables in particular were incredibly nice and open to just having a friendly conversation to tell us about their business. We love people and having a good conversation so cheers to those out there who are friendly enough to stop and take a moment to entertain their customers. You guys were awesome and we love what you guys are doing! A family owned bakery which got it’s start in Brooklyn and closed some time ago is looking to make it’s reappearance in the world of baking with the family’s fourth generation at the helm. They don’t have a location yet but what they do have are these delicious fudge covered pastries which come in a variety of flavors. Right now they are starting out at festivals so keep your eyes peeled for these delicious made fresh daily flaky treats. 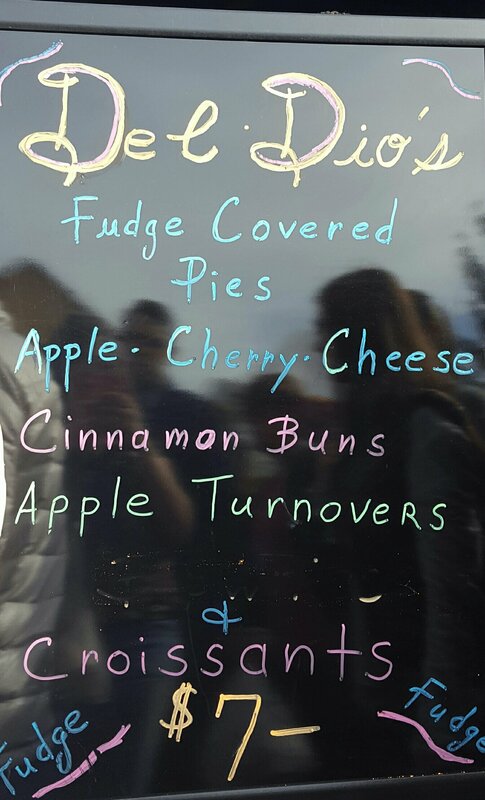 I tried the cheese one (recommended by another festival patron) and Anthony had the Cinnamon Bun. I was too excited to eat it and forgot to capture a picture of the pastry whole. I mean it’s got fudge drizzled on top, can you blame me? So keep your eyes peeled for this sign next time you’re out and about at a festival. Being the avid home chefs we are, this table caught our eye after we passed it. The table was covered with other festival go-ers who were blocking our view of the beautiful display of flavored sea salts. For my birthday last year my mom got me a set of flavored finishing sea salts that I thought was such a cute idea for a gift! My mom got them from a company out in California. We use them from time to time but I have to tell you, we enjoyed these more. The flavor is more pronounced in these. I also enjoyed the way they were packaged. Definitely worth the $7 to have a reusable jar plus a delicious product we can’t get enough of. We picked up the Lemon Dill Sea Salt and the Sriracha Sea Salt. We also picked up some candied bacon mix that came with instructions on the lid on how to make candied bacon but also some alternatives the mix could be used for. Last thing we picked up was the Baja Jalapeno spice mix. What’s even crazier than how good their product is, is that they only started this past July and currently are breaking into the market via festivals but make no mistake, you will be seeing more of them soon. If you’d like to reach out to Barbara (owner) to find out where you can find them next, their email is: thewellseasoned@yahoo.com. 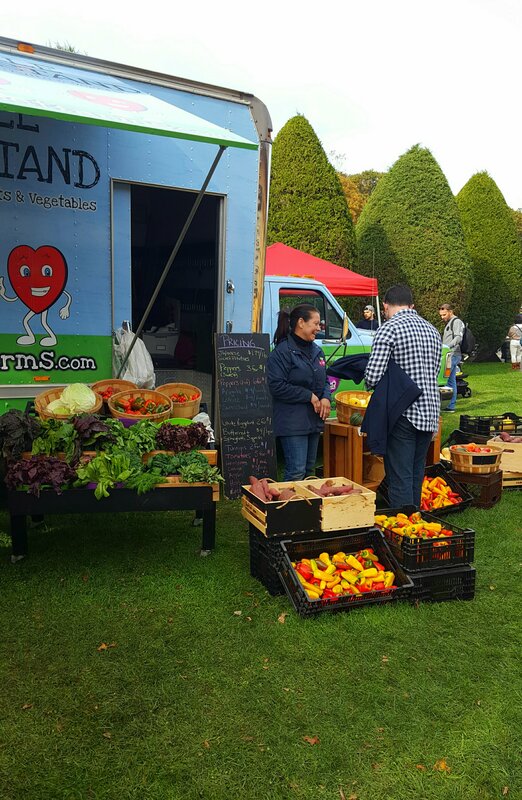 We had the pleasure of meeting Ann, one of the farms co-owners, when we came across their incredible display of beautiful vegetables. 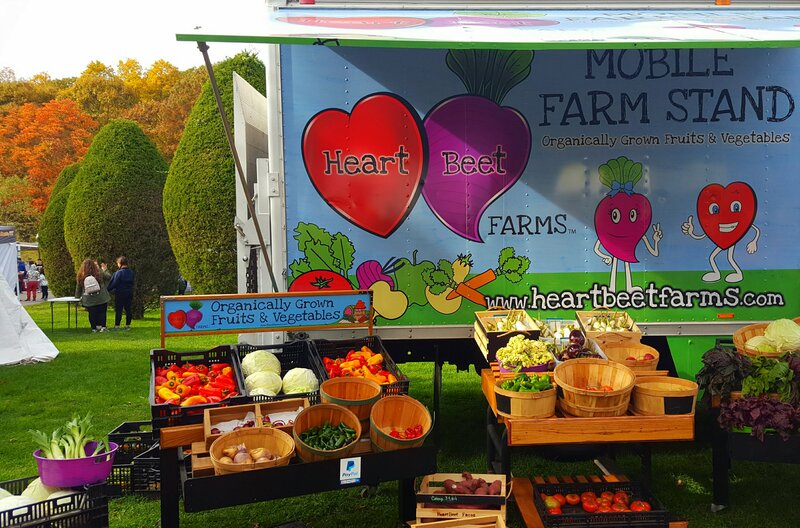 Even if the vegetables didn’t grab your attention their adorable farm truck certainly did. Get this, their farm is located in… Centereach! Only Long Island natives will gasp at this, why? Even when you’re from Long Island and you hear the word “farm” you typically only think of the east end. Centereach is located mid-island and we were floored to hear how close this farm is to us and that we had no idea about. I was taken back even more so when I saw the places they take their mobile stand to. Not to mention Ann is a nurses aid turned farmer which made me appreciate where the name came from. As a nurse, I was proud to find that out. I could literally go on and on about their mission statement and what they do but do yourself a favor click here. Check out their website and see what their about, what they offer and where you can find them next. They even have a blog featuring some pretty cool recipes located on their website. You didn’t think we left this stand empty handed did you? Oh no, we left with 5 baby spaghetti squash that we cooked the next day for a healthy dinner of Roasted Spaghetti Squash with Shrimp and White Wine Reduction Sauce. Guess what we garnished it with? Our tasty salts we picked up that day as well! Like our content? Click to follow!